- Avro Avian - G-EBSD - (BS0245) Avro Company Number: R3/AV/121. Avro 594A Avian III Reg’d G-EBSD [Certificate of Registration (C of R) 1414] June 1927 to AV Roe & Co Ltd. Certificate of Airworthiness (C of A) 1173 issued 28th July 1927. Temporarily modified to Avro 594C for height record October 1927. 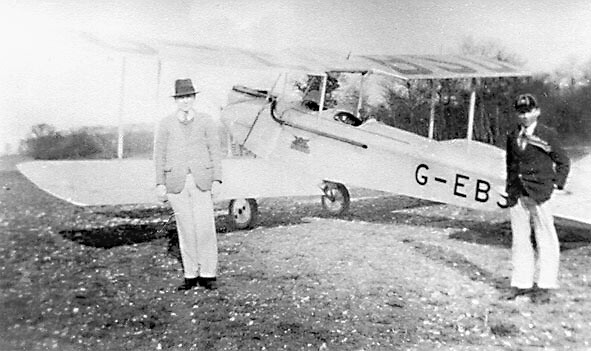 Reg’d [C of R 1666] June 1928 to Taxiplanes Ltd, Clevedon, Somerset. Reg’d [C of R 1764] Sept 1928 to AV Roe & Co Ltd, Woodford. Reg’d [C of R 1846] 7th January 1929 to Francis S Lee, Haldon. Reg’d [C of R 2376] January 1930 to Lionel MJ Balfour, Hanworth. 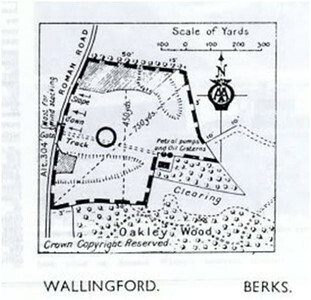 Sold April 1931 and Reg’d [C of R 3303] July 1931 to John CH Frost, Oakley Woods, Wallingford, Oxon. C of A lapsed 16th Sept 1931. Reg’d [C of R 3457] 15th October 1931 to National Flying Services Ltd, Hanworth. Reg’n closed January 1932. Scrapped Hanworth March 1933. 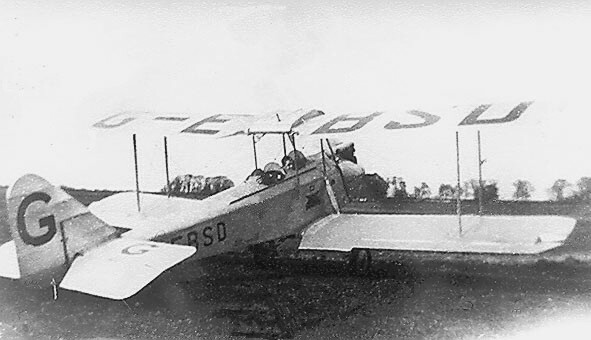 First woman to complete an England to Australia flight. Jessie Maud Miller, known as Chubbie Miller (Mrs Keith Miller) flew an aircraft of this type and left the U.K. in June 1927 with Bill Lancaster(Q.V.) 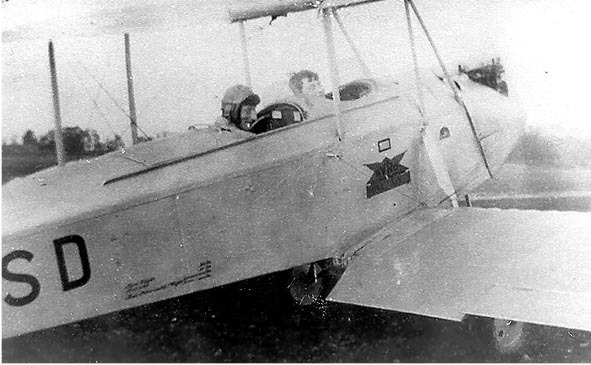 in an AVRO Avian. After 159 days they finally arrived in Western Australian, she was first woman to complete an England to Australia flight. Born in 1910, she died in London in 1972. See BS1337 for map of Oakley Wood Airstrip. 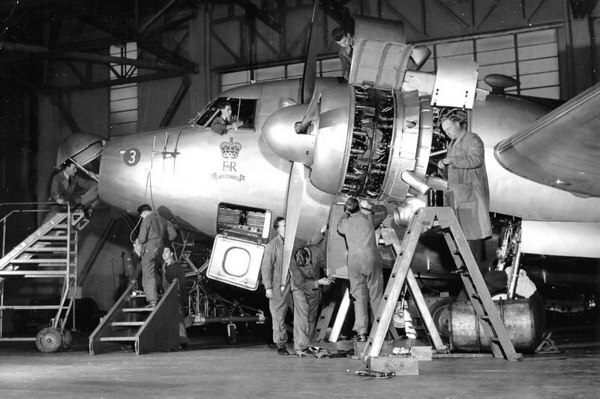 - Vickers Viking - (BS0325) Ac maintenance on Vickers Viking Mk C2 in Hangar D at RAF Benson. - Vickers Viking - (BS1337) Sketch map of Oakley Wood Airstrip.